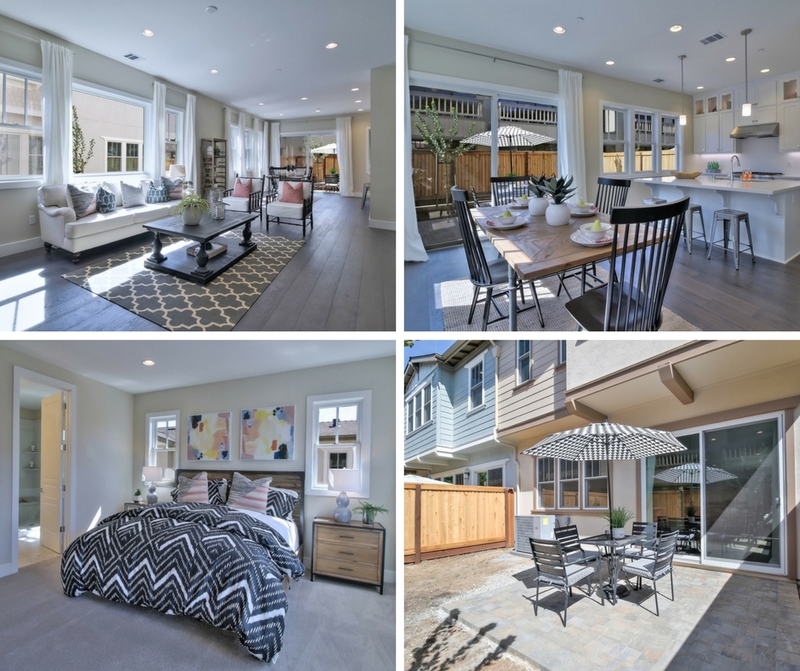 Saratoga Lane, one of our newest communities in Saratoga, is an exclusive enclave of twelve traditional, low-maintenance two-story townhomes with private patios. 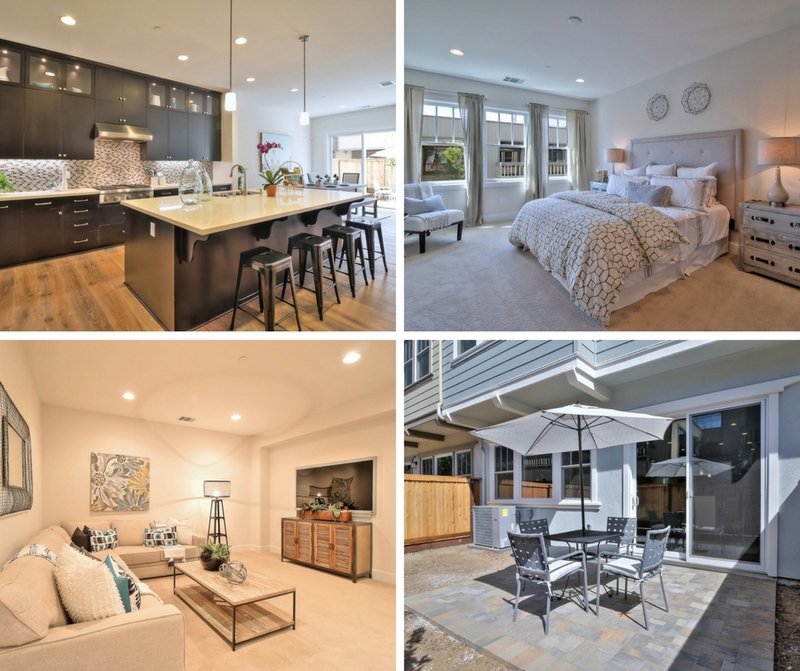 If you want to claim a home in one of the Bay Area’s most sought-after communities, you’re in luck: we have two quick delivery homes that are available now! The first available home is Plan 1 (Lot 3) and is priced at $1,758,000 with 3 bedrooms, 2.5 baths and approximately 2,320 square feet. The second home is Plan 2 (Lot 4) and is priced at $1,838,000 with 4 bedrooms, 3.5 baths and approximately 2,335 square feet. Both townhomes feature wood floors in the main living area, custom cabinetry, an upgraded kitchen with a luxurious appliance package of Thermador Professional appliances, and Caesarstone quartz in kitchen and master bath. 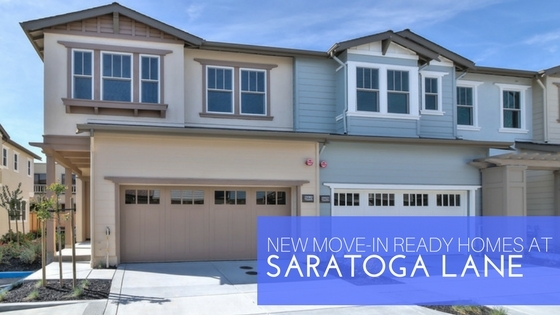 Saratoga Lane is located on Saratoga-Sunnyvale Road, right on the border of Saratoga, Cupertino and West San Jose and is just minutes from HWY 85, 280 and Lawrence Expressway. Homebuyers will enjoy access to renowned Cupertino schools, a bounty of parks, including Azule, Hoover and Kevin Moran Parks, shopping areas, wineries and award-winning restaurants. Both homes include $80,000 to over $100,000 in designer upgrades and are available for a quick move-in and will sell quickly. View our site map to see the homes’ locations, floorplans and schedule a personal tour today by emailing our sales agents or calling 650-269-7388.